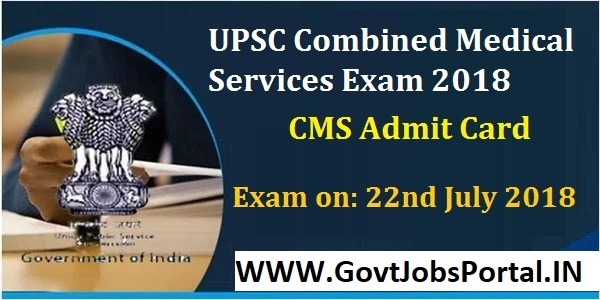 Today on 3rd July 2018 UPSC department issued a notification in which they said that the link to download the admit card for combined medical service examination is activated now. 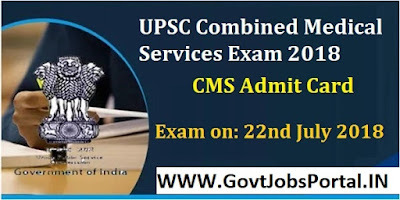 Those who applies for this examination through online process can now download their admit card from the official website of UPSC department. Department decide to conduct this examination on 22nd July 2018. So you have now less than a month to prepare for this examination. Work Hard, All the best to all the participants. 22-07-2018 is the Exam date.